We handle and manage individuals with special needs and conditions. Our caregivers provide round-the-clock care to ensure your loved one with dementia can live a safe and comfortable life at home. As the symptoms of this condition progress, our caregivers can assist you or your loved ones in maintaining their quality of life as we assist with their personal care, activities of daily living, and mobility. Our staff is trained and skilled at handling and comforting individuals with cancer. As you go through and recover from your condition, we will be there to provide you the care and assistance you need to live a comfortable and convenient life. Our caregivers help manage those who are recovering from a stroke. We tend to your loved one’s needs to ensure their condition can improve and they recover and stay happily at home. For individuals who have trouble managing their diabetes, we can provide them with the proper care and attention to help them reach their goal of maintaining their health and a healthy lifestyle. When you have just been discharged from the hospital, it is important to receive the same level of care that you receive from the hospital. Our caregivers ensure to make your transition from hospital to your home an easy journey to promote your recovery and better health. We care for individuals with physical or mental disabilities and need constant care and assistance. InfiniteCare-Plus provides a range of services that allows family members to have peace of mind knowing their loved ones are being cared for by capable and compassionate hands. When your loved one is in the hospital, and you don’t have the time to watch over them or need a break from tending to them, our caregivers are ready to lend a hand. We assist in caring for your loved ones while they are still in the hospital and after they are discharged. 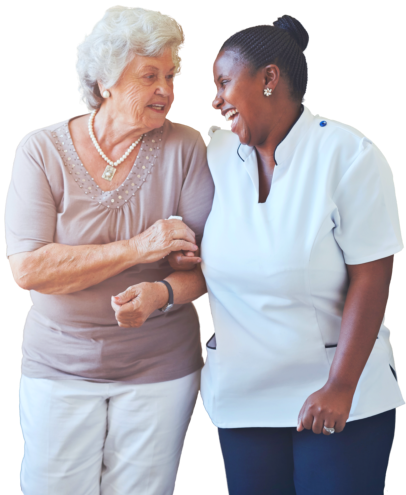 We also provide assistance to those in nursing homes and assisted living facilities. For individuals who are terminally ill and wish to live their last days in comfort and care, we are more than ready to provide them with the services to make them feel comfortable. Being a new mother has its challenges. When you need help around the house, our caregivers can make things easy for you. We take over the household chores and errands so you can use the time to take a break and care for your little one. For more information about our specialty services, please call 808-678-9688.